Successfully Added Vape Mod Warlock Z Box 233 - Variable Wattage, 510 Thread, Temperature Control, Leather Design, 2x 18650 Battery (Black Leather) to your Shopping Cart. Upgrade your vape experience with the Warlock Z Box 233 mod kit. It features a 510 tread. Thanks to this, it is compatible with the vast majority of tanks and atomizers available. Simply attach this powerful box mod to your favorite RTA, and you’ll be all set to enjoy an outstanding vape experience. 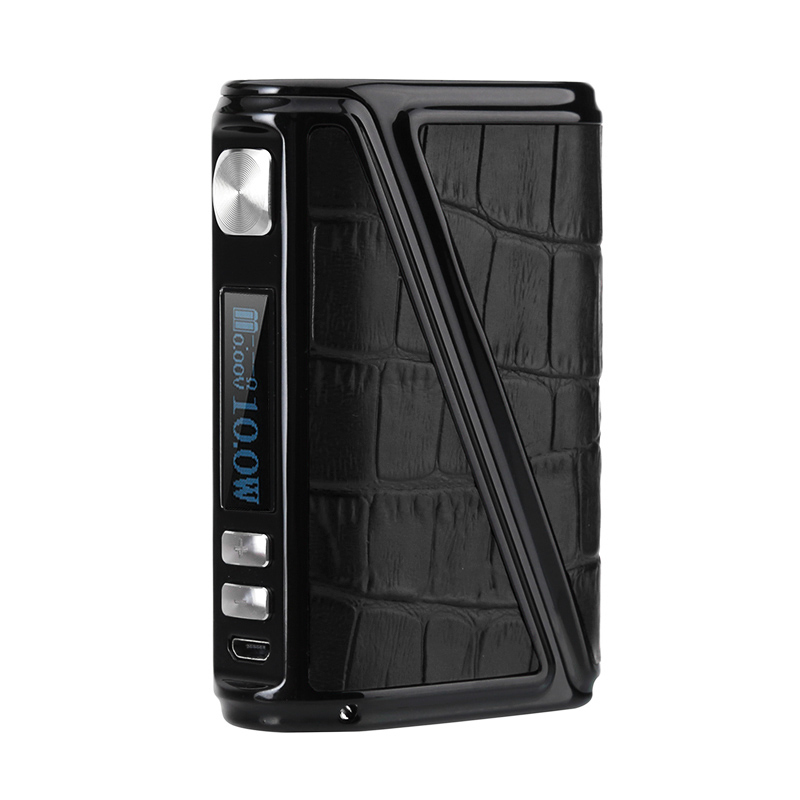 This vape mod has been crafted out of a stylish zinc alloy and finished off with black leather. This design gives your box mod a high-end and stylish look. The next time you’ll be vaping with your friends, you’re sure to turn some heads. Its variable Wattage allows you to fully customize your upcoming vapes. Ranging from 7 to 233W, this box mod is perfect for beginners and advanced vapers alike. It furthermore supports adjustable temperature. This allows you to adjust your vapes to your exact personal liking. The vape mod is powered by two large 18650 batteries. With all this power at hand, you can enjoy a vape filled day without needing to worry about running out of juice. Within its stylish body, this vape mod packs a sophisticated LED display. On this display, you’ll be constantly able to read your current settings. From now on you can be assured that you’ll always have the right settings enabled to enjoy your vape to its absolute most. Whether you’re an advanced vaper or new to the world of vaping – the Warlock Z Box 233 is sure to meet your demands. This vape mod comes with a 12 months warranty, brought to you by the leader in electronic devices as well as wholesale electronic gadgets..